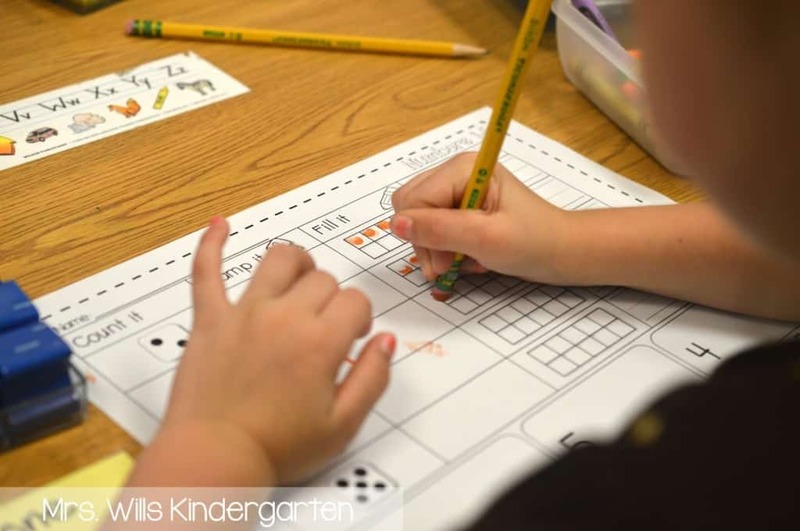 How to start centers in kindergarten? It can be a little daunting… Let’s see if this post can help! 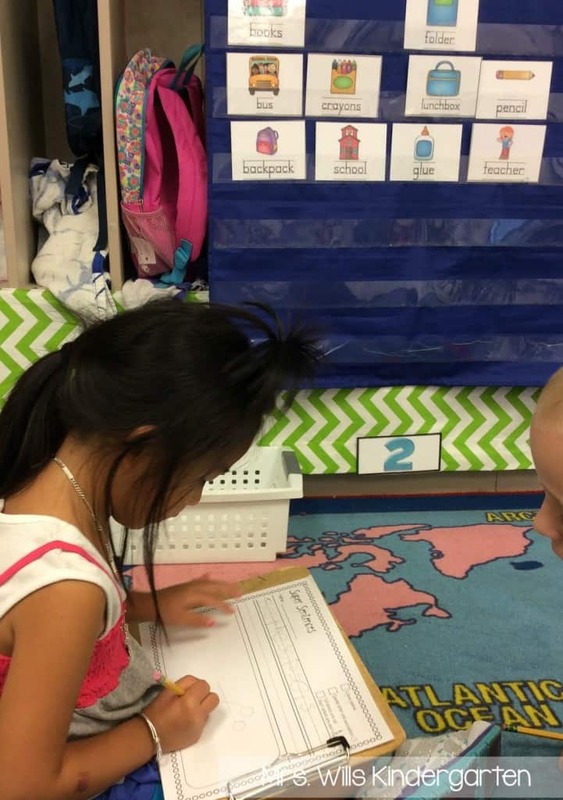 How to start centers in kindergarten? : Do it simply! My goal for that first week of school is to have students GO to their station and STAY! So when I have a fun and engaging task for them to do there, it is simple. Puzzles are easy. You don’t need to explain much… “This is a puzzle!” DONE! 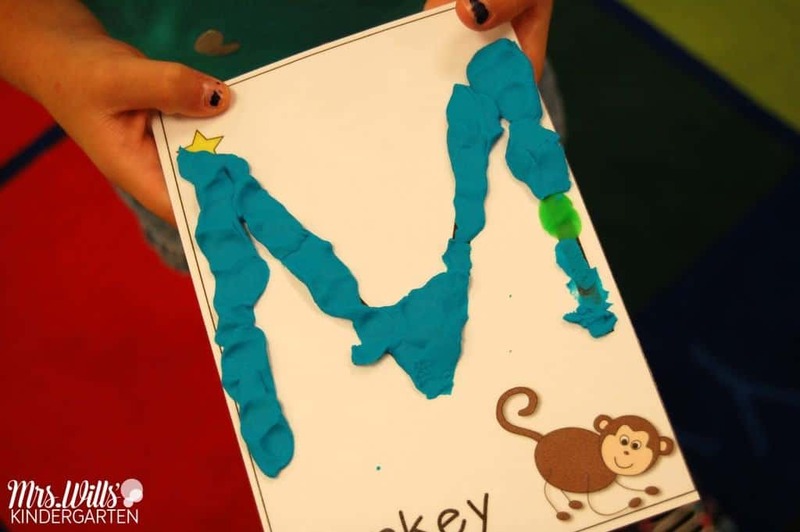 We love playing with Playdoh! And we practice handwriting on the overhead station! Simple! The library station is a slam dunk! Easy! 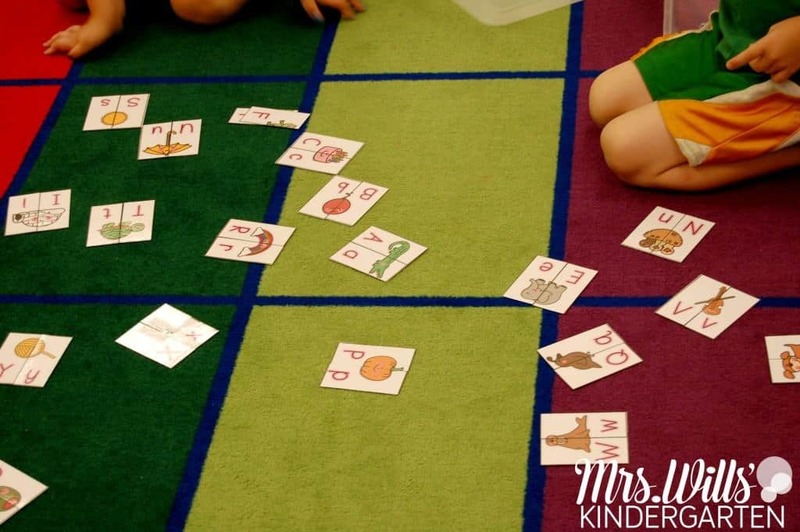 How to start centers in kindergarten? : Build them over time! The writing station starts out really simple. Students just go there and write! They may only take one paper to work on. Over time, I nudge them toward doing more, but the first few weeks, I am happy with my students just going, writing, and staying. As the month progress, we expect more. This station will be with us ALL YEAR, so I have time to tweak it to increase the quality of work. The same is true in our pocket chart station. We learn it in our whole group then move it into our stations a few days later. 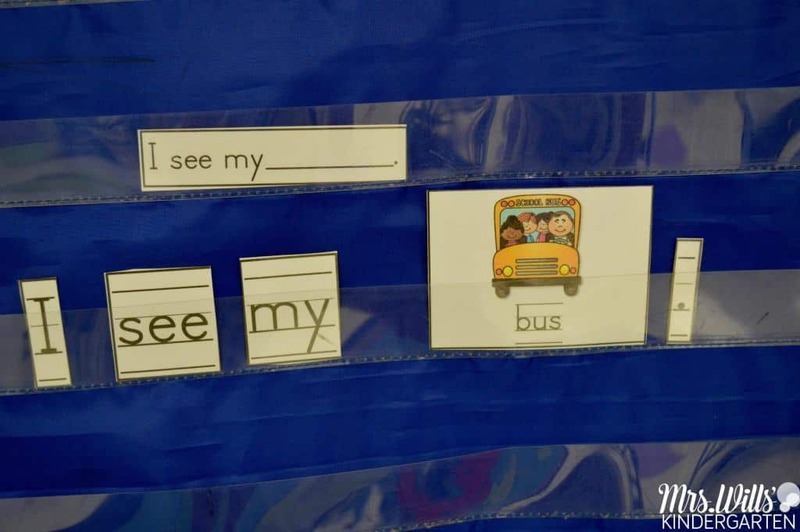 After the first week, I might discuss this station like this, “Friends, when you go to the pocket chart today and every day, I want to you write one of the sentences you made. Let me show you.” NOW, every day, I expect an attempt at writing. I applaud their best efforts. When you brag on their approximations, they are more likely to be risk takers and excited about doing their best. When you start centers, keep the activities predictable! When students know the structure of an activity, then you can change the content they are working with. As the year progresses, the complexity will go up. We played this game several times as a whole group. Then on the second week of school, it is ready to go into a station. My students were told this was a “bump” game. I have a billion “bump” games in my stations, so I wanted to be sure they understood how to play. From now on, I can swap this version out with another “bump” game and I don’t have to reteach the rules. It. Is. The. Same. Game… but with a different academic skill or theme. Snap Cubes can be found HERE. When you start centers, building Independence is KEY! We know they are going to have some dependency tendencies. 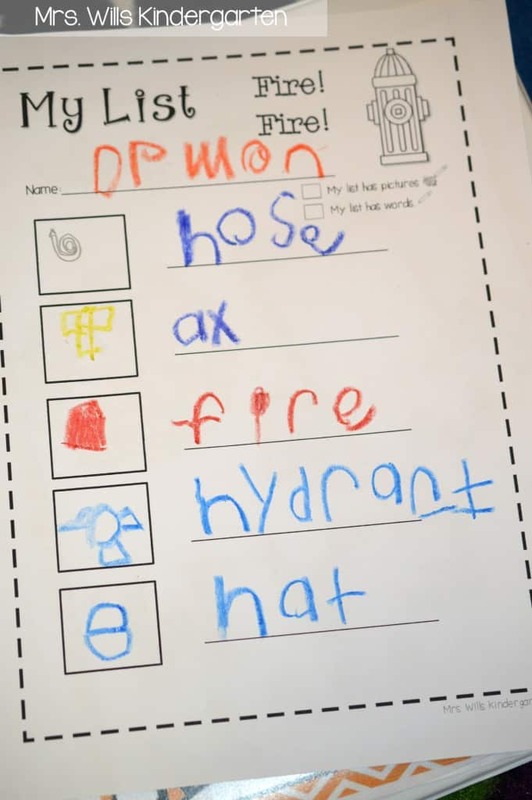 This is kindergarten… right? BUT I want my students to be empowered to solve their own problems. “I Can ” cards are a great resource. Remember, you can make your own. All you need is a pen and a piece of paper. 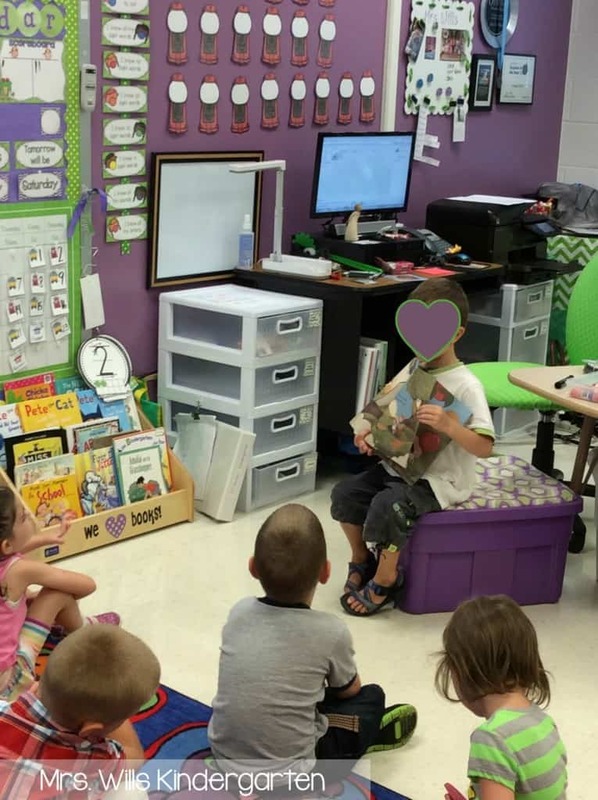 Kindergartners think their teachers are magical! They will love your drawings! I also praise those students who were “problem solvers” during our station debrief period. This is the time after station rotation #1 where we all return to the carpet. At this time I can send out compliments and offer short clarification. There can be a lot of important work being during stations. Set the behavior expectations high. Yes, there will be some chatter. The amount of chatter depends on how you set your expectations. This time is important. Getting routines in place are important. I know small group instruction starts around the 3-4th week of school, so how I introduce stations is important. They must be independent. 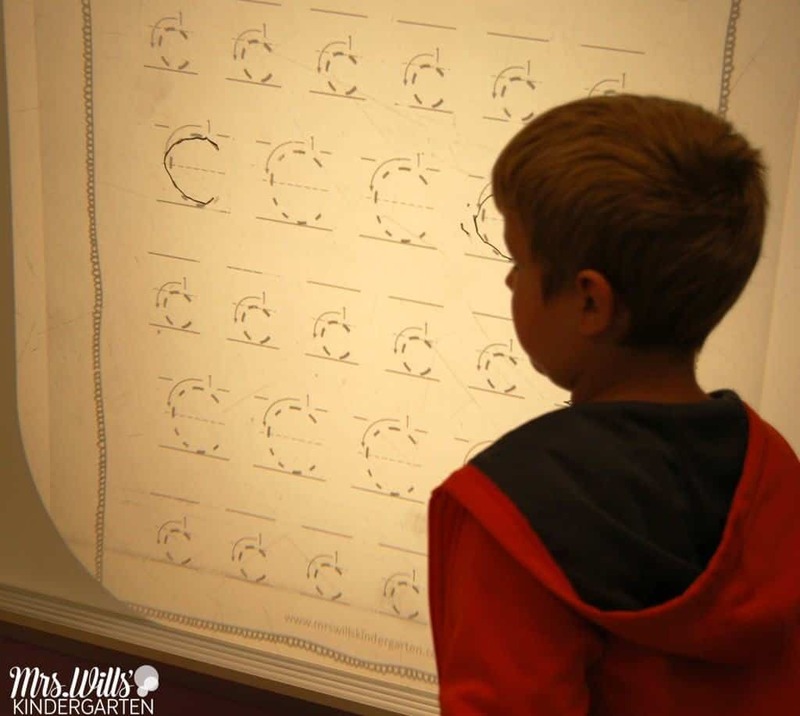 Read more out about lesson plans HERE. You can read more about my classroom set up by visiting HERE. That is how I start centers in kindergarten! So helpful! I am SO excited about this year because I have so many thing from last year that worked and that are ready to go!! Learned a ton at the SDE conference, too!! 🙂 Thanks for sharing. How many Stations do you have and how many do they do a day?Do you expect students to go to all Stations? How do they move? Stations Management I bet this post will answer a lot of your questions! If not, let me know! I have a quick question, how do the students know what part of the room to go to when they grab their station bin? Do they have a certain place to go with the station or do you just have them work at their desk? Do you offer your writing lists anywhere? They look amazing! Yes! They are in the Writing Stations units. Simply click on the links in the blog post. Thanks so much for this post! I’m a first year teacher and it was super helpful. 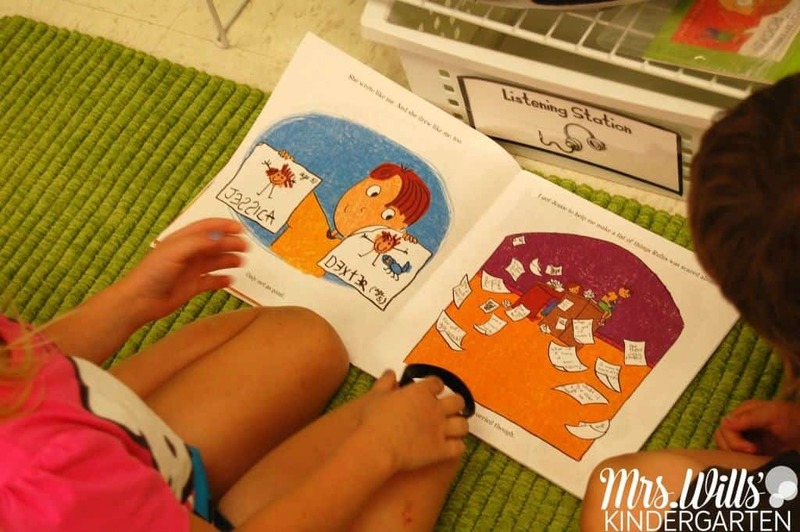 Do you do guided reading during this time? 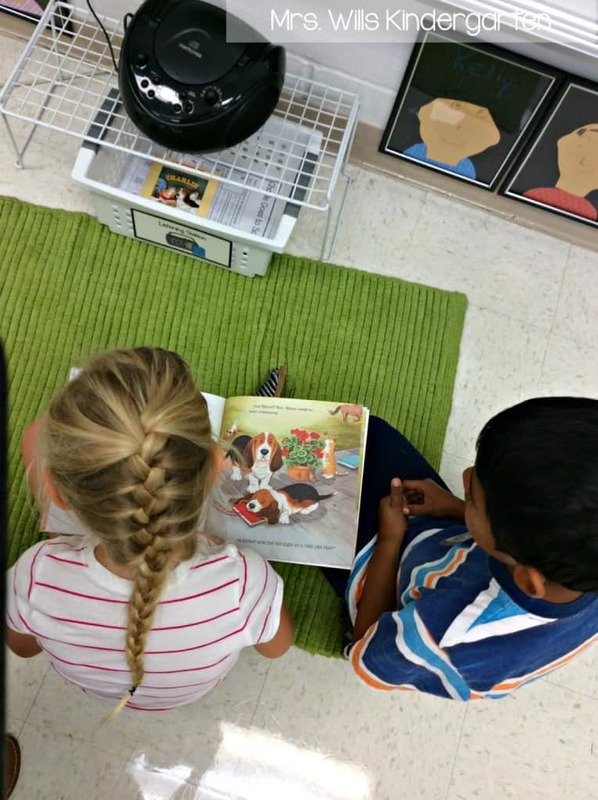 If so… how many students do you pull at a time for guided reading? As you pull students for guided reading, it leaves students to work by themselves at that station. Does this cause a problem if they were playing a game? Thanks! Hi! This was super helpful! What is your procedure for students that have questions or get done with your work or station early while you’re working with a group? How do you manage those situations? I love your stations…am slowly adding your bundles to my rotations. Finally feel like I am getting a handle on my literacy stations. 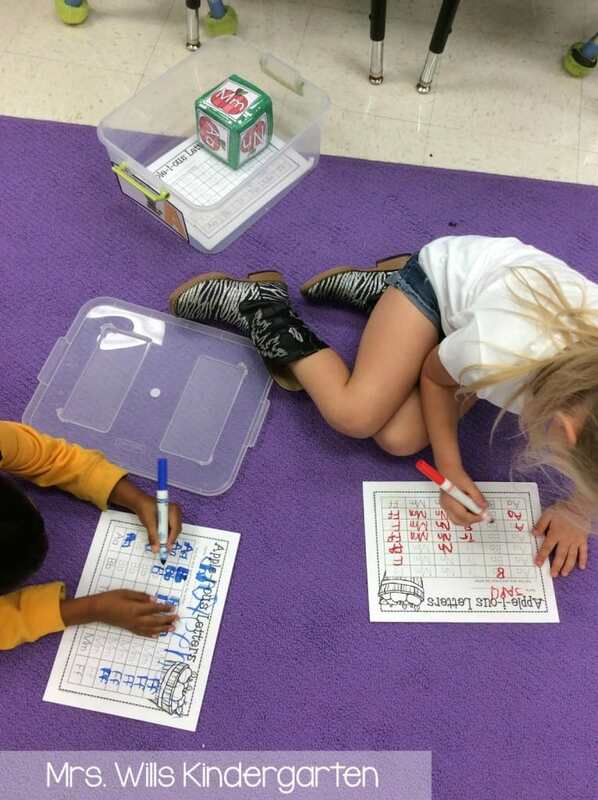 Now I am working on my math stations. 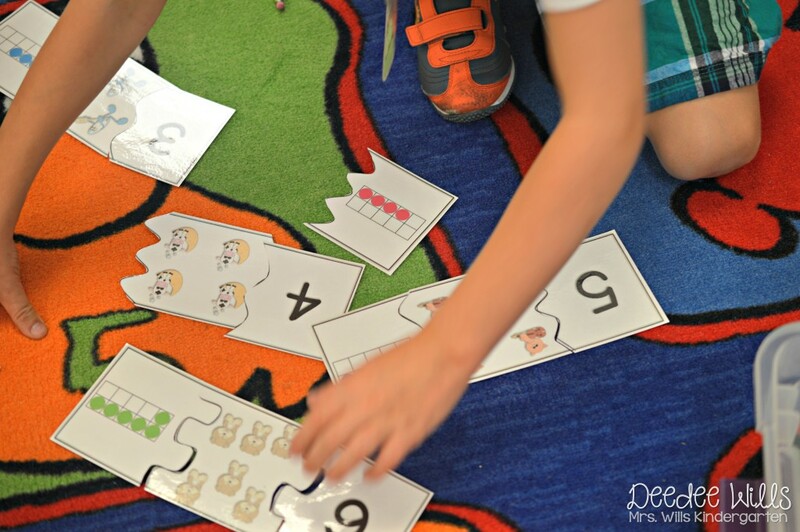 Due you have math station cards like the literacy ones? 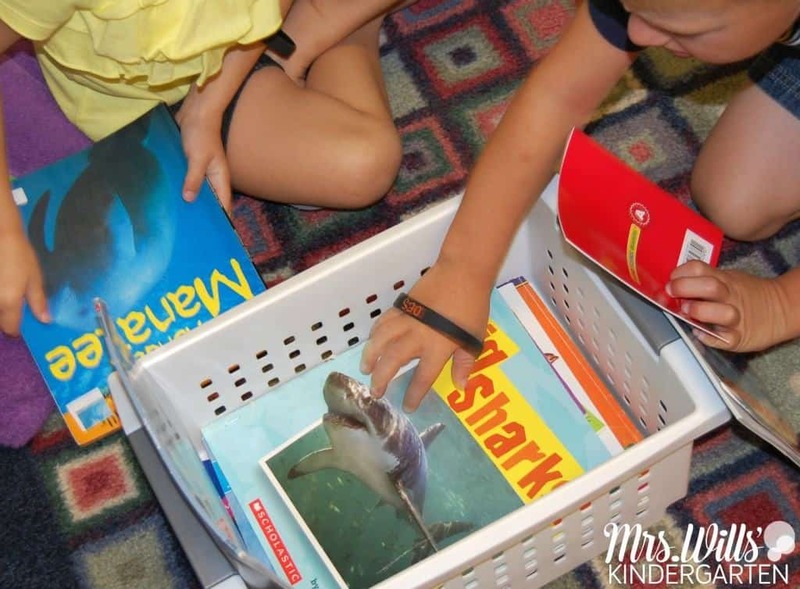 I’m a first year teacher and reading your blog posts and TpT resources have really helped me wrap my mind around centers and how to implement them into my kindergarten classroom. In your post you mention introducing a couple centers per day. 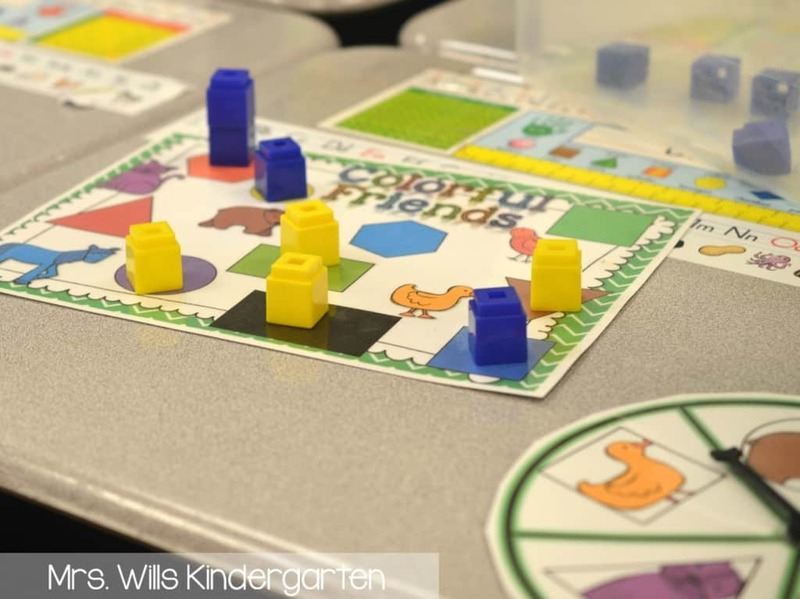 My question…which might be obvious…but until all the centers are introduced and you have 2 students at each of your stations, what do you do during center time? Do all the students practice the two that you have introduced for that day until they are all in the rotation? 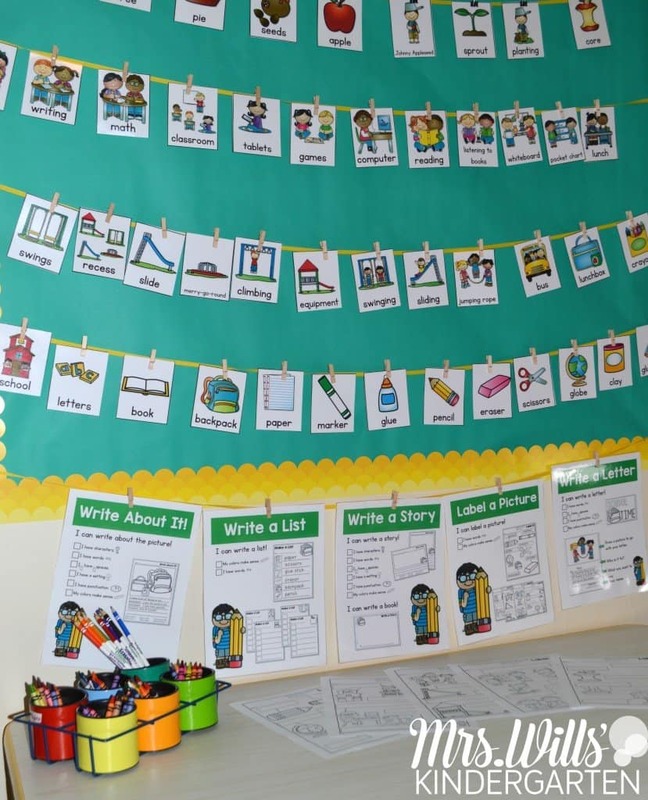 I am very interested in the activities this blog shows for the Writing center. Are those available to purchase? Can you tell me the name of the product to look for it? It’s the one that has several pictures in a clothesline and the kids choose to write list, story, etc. Thanks in advance. I love your blog, webinars and products. I am a teacher in Australia. I have just done your Guided Reading and Engaging Readers webinars and loved them! 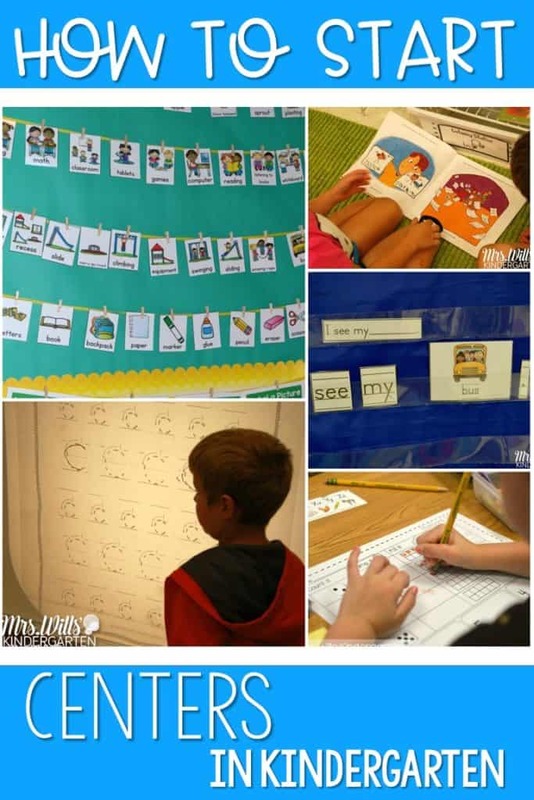 In the Guided Reading webinar, you mentioned another webinar about running centers. I have looked and looked but I can’t find a link to it. Is this still available?